Want some controversial places to visit? These places will suffice! When looking for new places to visit, some people simply want to stick to conventions: the beach holiday, the skiing holiday, the hiking holiday, the tour bus holiday, etc. However, for others, run-of-the mill just won’t cut it when it comes to destinations they want to see. If one was to judge the lure of this destination simply on the basis of its natural landscape, it would be one of the most sought-after tourist locations in the world. The country is home to dramatic mountainous scenery, luscious waterfalls, pristine lagoons, and beautiful Buddhist temples. Unfortunately, there’s always that tiny, little irritating factor to consider – it’s also home to one of the most oppressive communist dictatorships in the world. North Korean leader, Kim Jong-Un, rules the country with an iron fist, suppressing the spread of information, restricting human rights and movement, and basically shaping the country as a shrine to himself, just like his father Kim Jong Il and grandfather Kim Ill- Sung did before him. In fact, the country only opened its doors in 1987 to foreign travellers, and to US travellers in 2010. In the meanwhile, several tour groups have emerged offering tailored trips that promise a peek behind the last fold of the Iron curtain. This historical landmark is by far the most popular tourist attraction in Peru, and a major foreign exchange earner for the country. About 2,500 tourists are allowed to trek this 8,200-foot-high wonder on a daily basis, either by train or foot from the town of Cusco, which is the former capital of the ancient Inca empire. Ironically, as tourist numbers have grown steadily by about 6% each year, the citadel has slowly eroded with each footstep. This has resulted in the World Heritage team stating in 2008 that Machu Picchu faced urgent problems with potential landslides, deforestation, uncontrolled urban development, and illegal access to the sanctuary. Essentially, Machu Picchu has become a victim of its own success. If you can ignore the ongoing problems in this regard, it is still a wondrous place to visit. “This town, is coming like a ghost town”. These words, uttered by The Specials in their 1981 hit song, have become literally true for Pripyat in the Ukraine. 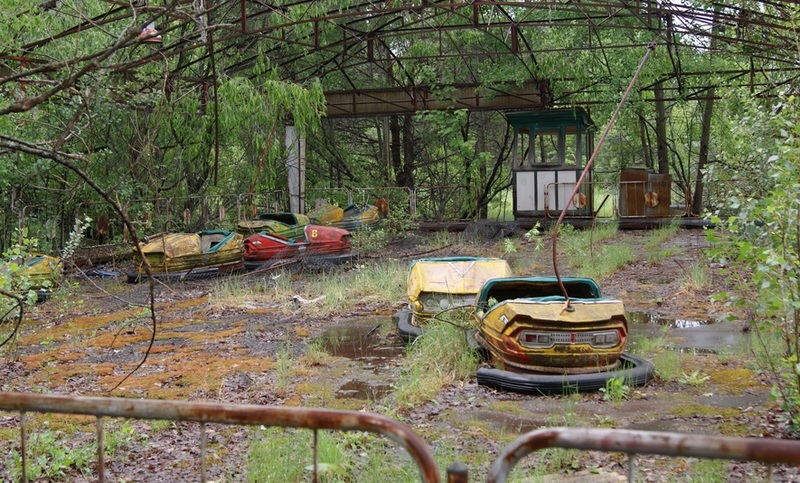 The town was built in 1979 for house workers at the Chernobyl power station, but was abandoned after a “routine experiment” went horribly wrong in 1986, an incident which is commonly referred to now as the “Chernobyl disaster”. In this incident, Chernobyl’s fourth reactor exploded, which sent plumes of radiation into the sky, equivalent to a staggering 400 Hiroshima bombs. The town has reportedly been left exactly as it was in 1986, with large Soviet posters pasted across classroom walls, and the dolls of children left exactly where they were abandoned. On a typical tour of the town, you’ll pass through the gates of the station into a radiation-monitoring centre and then onto lunch at a worker’s canteen. Be aware though, you’ll be forced to sign a waiver that exempts the tour operators from any responsibilities should visitors suffer from any radiation-related health problems – as safety concerns have seen the facility open and close intermittently over the last five years. Filthy streets? Check. Horrific smell? Check. Starbucks or KFC? Nowhere to be found. With these terrible conditions, it is a major wonderment why Mumbai’s Dharavi Slum is so popular with tourists. It may have something to do with Slumdog Millionaire, the academy-award winning film that depicts life in these slums for children, and was home to many of the child actors in the film. Amazingly, Dharavi has become the main attraction of many tourist expidetions, where you can expect to view the industrial and residential sections, and have the challenges faced by India’s lower-class explained to you. The tours only cost about $11, and while the revenue from the tours is allegedly pumped back into the community, many pope have questioned the morality of paying money to be voyeurs of the daily struggles of India’s poorest people.